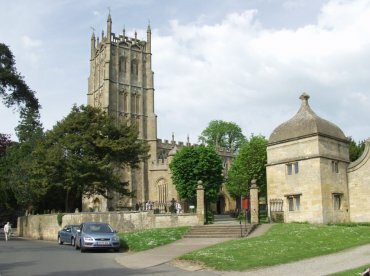 BeenThere-DoneThat: Chipping Campden (1), Gloucestershire. 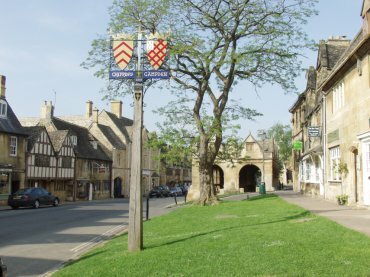 Chipping Campden is near the northern most tip of the Cotswolds about 12 miles north-west of Stow-on-the-Wold and 12 miles south of Stratford-upon-Avon. A typical Cotswolds town of mellow stone buildings which have a golden glow in sunlight. The 'Chipping' part of the name comes from the old English word 'Ceping' meaning 'market' and it still has its Market Hall. We stayed at the Volunteer Inn, in High Street, for the duration of our visit in May 2008. 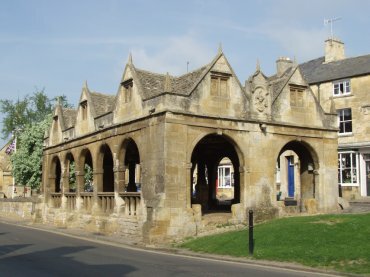 The Market Hall, Chipping Campden. The 17th century Market Hall in High Street is a very distinctive stone-arched building with a timber-framed roof used in the past to shelter market traders. The stone steps at the entrances and the stone floor certainly show evidence of hundreds of years wear from passing feet. The Parish Church of St. James. This church started out as a smaller Norman church but around the middle of the 1600s a transformation was started that was to last about 250 years and resulted in the impressive building you see today. The final stage, the addition of the tower, took place about 1500. 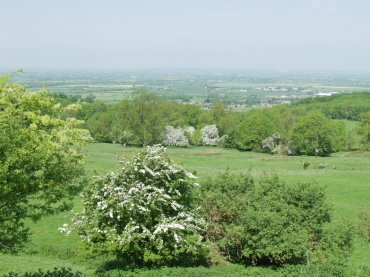 It is an easy walk from Lower High Street up Hoo Lane to join the Cotswold Way footpath to the top of Dover's Hill. On a fine day the views are tremendous as you can see. You can tell we were there in May because the May (Hawthorn) blossom is evident (the white trees). The Rollright Stones near Chipping Campden. 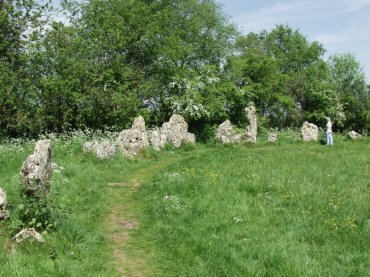 This stone circle is no more than 10 miles from Chipping Campden but is just over the Gloucestershire border into Oxfordshire. Next to the road that runs past the site there are two laybys where parking is free but there is a small entrance charge for the site. There was no one in attendance when we were there and the entrance charge was put into an 'honesty box'. The King's Men stone circle is 104 feet in diameter and consists of 77 stones of varying sizes. Hidcote Manor Gardens near Chipping Campden. 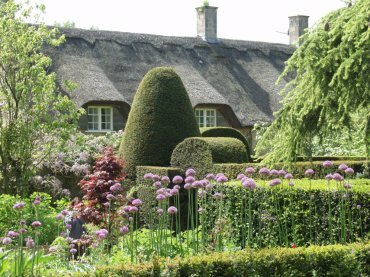 Hidcote Manor Gardens are only 3-4 miles north of Chipping Campden. There is a car park which does seem to fill up quickly but there is also an overspill car park nearby. This is a well known garden and is obviously very popular in the summer months. If you like gardens then this should not be missed.